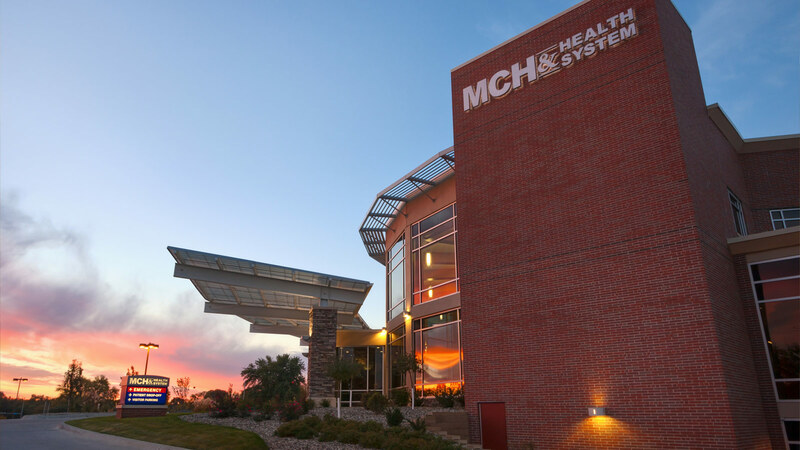 Memorial Community Hospital launched a significant expansion to elevate capacities and change perceptions about the rural, small-town hospital. The original building had become a maze of hallways that zigged and zagged, levels that didn’t match from one structure to the next, and mechanical systems that struggled to support so much inefficient space. Staff had become accustomed to working in small found spaces and creating work-arounds, resulting in inefficient circulation and poor departmental adjacencies. The TSP team explored how the care model might change if the floor plan instead used larger, different spaces or arranged those spaces and circulation a bit differently. The result of those scenario planning sessions is a three-story addition to the east and a two-story addition to the north. 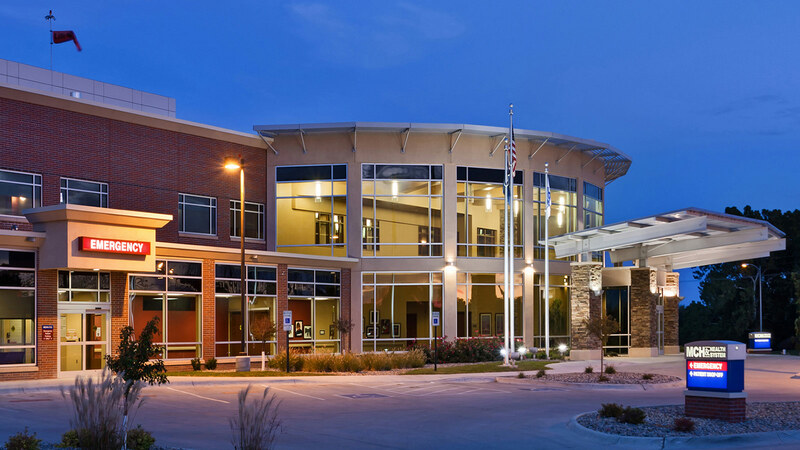 A major portion of the existing hospital was renovated to provide a specialty clinic, administration office, and new procedure center. The east addition accommodated a new hospital entry, emergency department, and patient bed floor with community and business spaces on the level below. 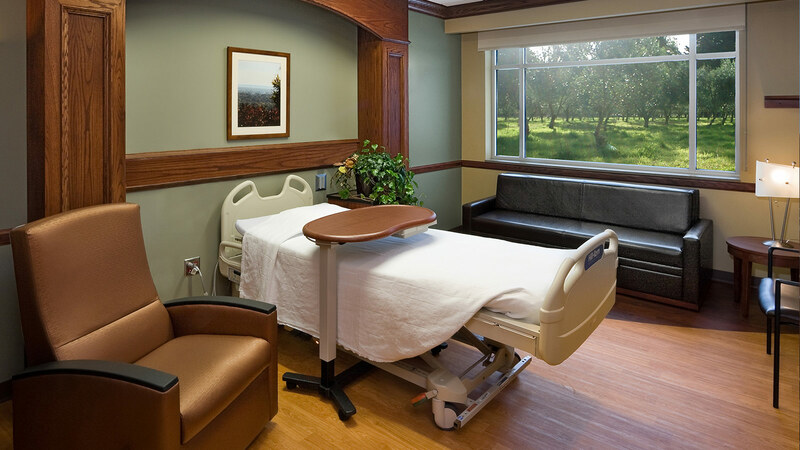 Design impacts allowed our team to create a patient-centered care environment that supports the hospital’s local mission. 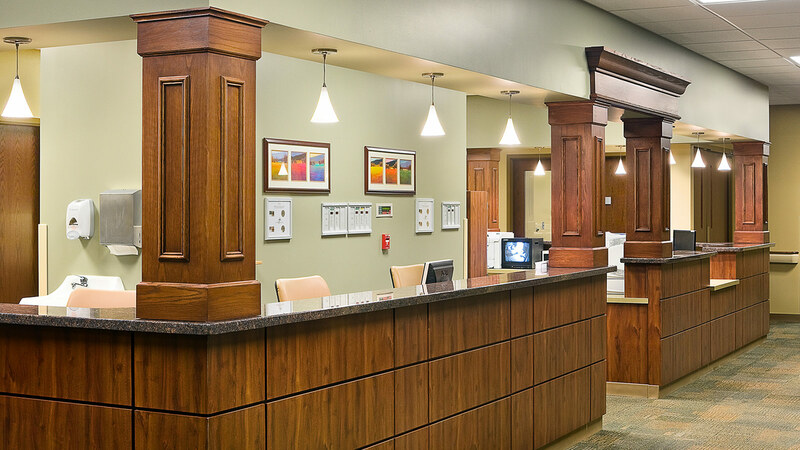 A state-of-the-art security system and sustainable features improve the building’s overall function. 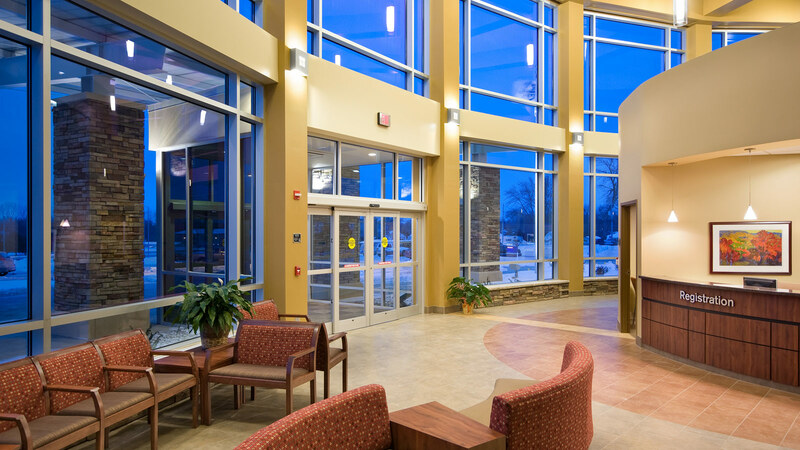 Meanwhile, the new front entrance, improved interior sightlines and thoughtful wayfinding touches help patients and families find where they need to go.